In my frequent YouTube perusals, I came across a wonderful video of the actors who played the Warriors in the movie of the same name riding a subway to commemorate an anniversary of the release of the film. It’s a wonderful movie and that means it’s time for a Libertarian Movie Review. The film is set in New York which is broken down into many territories controlled by various gangs, much like the world is broken down into many regions controlled by various gangs, that is to say, nations. The Warriors, and most of the other gangs in the city, have come to Van Cortland Park under a truce to listen to the leader of the Grammercy Riffs make a proposal. Cyrus suggests all the warring between nations over non-existent borders drawn on a map is an enormous waste of time and effort. Oops. I wrote that incorrectly. What I meant to say is: Cyrus suggests that all the warring between gangs over non-existent borders drawn on a map is an enormous waste of time and effort. He suggests it would be a much more profitable enterprise to work together for the mutual benefit of everyone. Cyrus is shot and killed in the midst of his speech which essentially ends the truce. 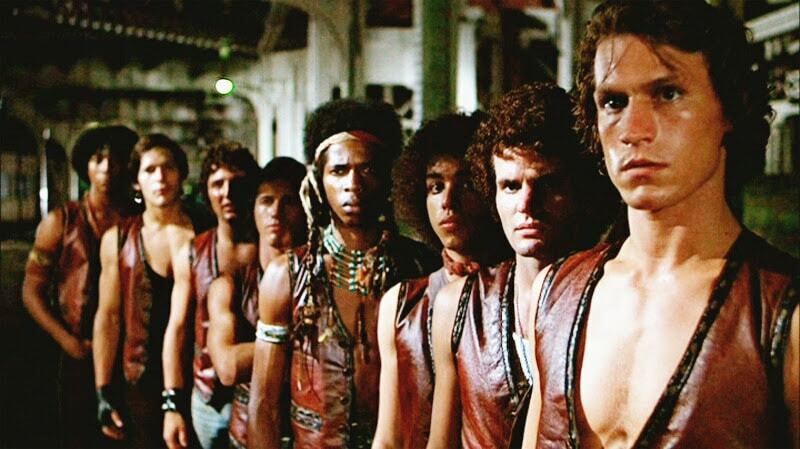 The Warriors are blamed for killing Cyrus and the rest of the movie tracks them as they attempt to make it back to their home base, Coney Island. They must battle various colorfully attired gang members including the iconic Baseball Furies. The film is certainly action based but does a superb job of character development in that we learn about the various Warriors via their actions rather than any exposition. Ajax is wild and impulsive. The sort of jerk you hate on the other team and love when he’s on yours. Swan is a thoughtful and intelligent natural leader. Rembrandt is an artist who is unskilled in combat but valuable nonetheless. 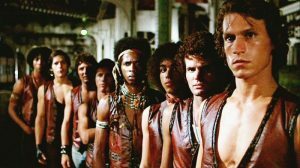 Eventually the Warriors make it home where the duplicitous gang responsible for the death of Cyrus attempts a final vengeance before the truth can be discovered, only to be defeated. The Riffs exact their vengeance and acknowledge the martial prowess of the Warriors. The movie has many qualities that appeal to a Libertarian. Particularly pleasing is the overarching theme against nationalism. The gangs do themselves no service by the constant warring when they would be better off cooperating. The idea of removing borders and working toward goals of mutual interest regardless of national origin, gender, race, sexual orientation or other artificial difference is also a major Libertarian policy point. The biggest negative is when Cyrus appeals to the gangs to take over the city and defeat the local establishment. This will put them in power, simply replacing the existing structure with one that will be equally problematic. A more Libertarian ideology would have Cyrus appealing to the gangs to cooperate with the police and the establishment to make everyone’s lives better. That being said, The Warriors largely exemplifies Libertarian ideology and I give it 4.3 Freedoms. Can you dig it? This entry was posted in Entertainment, Libertarian and tagged entertainment, Libertarian. Bookmark the permalink. ← Syria Leads the Conference on Disarmament, So What?